New Santa Ana | Why is SAUSD Trustee John Palacio hiding his contact info from the public? Why is SAUSD Trustee John Palacio hiding his contact info from the public? 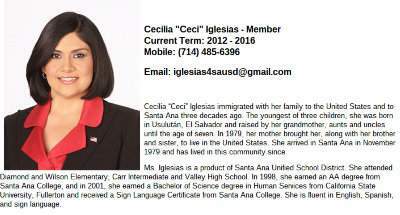 Only two of the elected members of the Santa Ana Unified School District’s Board of Education, Cecilia Iglesias and Rob Richardson, post their contact information on the district’s website. Why is it that the rest of the Trustees, including longtime incumbent John Palacio, who is running this year for reelection, are hiding their contact information from the voters and residents of this city? This is a very good reason not to vote for Palacio on Nov. 4. Another one is the fact that he only lives in Santa Ana on a part time basis. He maintains a second home in Arizona, where he graduated from college. Shouldn’t our Trustees be full time residents of our city? Now look at Palacio’s SAUSD bio. He admits he is a consultant. The truth is he is a political consultant. Well there are far better candidates running for the SAUSD School Board this year – who actually have experience in education, such as Dr. Rigo Rodriguez, who is a college professor and Shuntele Andrews, a retired SAUSD high school teacher. Why waste your vote on a political hack like Palacio? The fact that Palacio won’t even let the community contact him tells us all we need to know about him. But he isn’t just hiding his contact info from the public, on the SAUSD’s website. Palacio also has no campaign website and no Facebook page. He truly doesn’t want to hear from his constituents! He wants your vote then he wants you to shut up and leave him alone. Well this year let’s not vote for Palacio then he can move full time to Arizona and never hear from any of us ever again. Palacio clearly needs to be reachable. 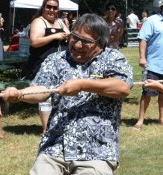 The only candidate with actual primary and secondary teaching experience is Andrews. Rodriguez doesn’t have that experience & lost me when he decided to mislead and defraud voters by using Doctor in his title. Vote Shutter Andrews.! She taught at Valley High School and has made a REAL difference on her former students. I am voting for Mrs. ANDREWS because she will bring forward positive changes that better the education of all SAUSD pupils. AHH. “Consultant”.my favorite word “consultant”.